# -- The openjdk-8-jre package contains just the Java Runtime Environment. # -- If you want to develop Java programs then please install the openjdk-8-jdk package. Setup Jenkins as a daemon launched on start. See /etc/init.d/jenkins for more details. If your /etc/init.d/jenkins file fails to start Jenkins, edit the /etc/default/jenkins to replace the line ----HTTP_PORT=8080---- with ----HTTP_PORT=8081---- Here, "8081" was chosen but you can put another port available. Check your data to ensure it's all working right. If not, panic! Well, I suppose you could come join us in the IRC channel to help you figure out why, but it really should just work. First thing we're going to tell you is to check the logs, so might as well do that too. Ok, now that your data's all moved, your volume is completely operational and all it's circuits are functioning perfectly, you're ready to add your two new bricks. 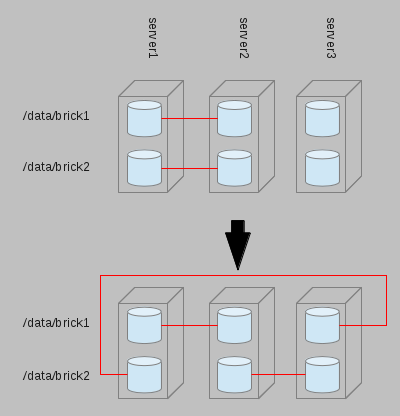 Save yourself some time and just format the brick store that's mounted at server1:/data/brick2. You'll have to wipe it and it's xattrs anyway, so that's much quicker. paste the ssh keys public public, the example file is .ssh/gitlab_rsa.pub now `cat .ssh/gitlab_rsa.pub` and then copy the output to Key area. set up an title for this ssh key. ^_^[15:49:55][[email protected] ~]$ssh -T git.suzf.net Welcome to GitLab, zfsu!